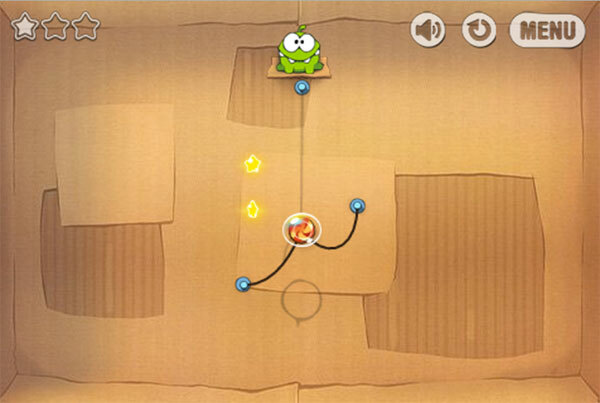 Cut the Rope - The most famous game in the world and is loved by many people, it has appeared at GameVui now. It is extremely simple to play game Cut the Rope, you only need to cut ropes so that the candy can drop in the position of the fog. With extremely attractive photographic, lively sound and over 100 different levels, you can comfortablely show your ability to solve the puzzle. On the computer, use (left mouse) to play. On the mobile phone use và turn the screen into horizontal to play. 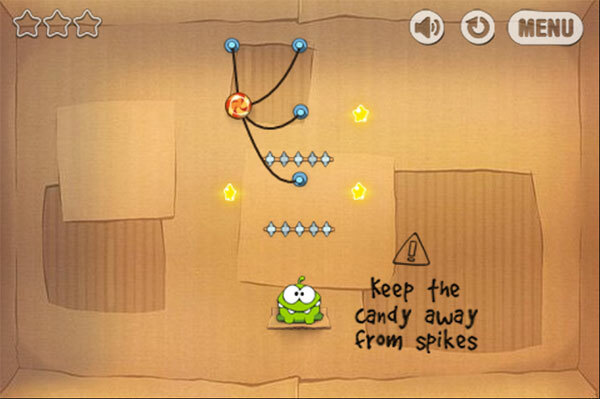 Download the version Cut the Rope cho Android or Cut the Rope cho iOS to play in your phone. Click if you want to remove bubbles around the candy. Game Cut the Rope played 965.718 times.